Perfect light duty utility knife with a 13-point snap blade that cuts through cardboard packages, ropes, canvas, paper, plastic, wood, and more. The blade has an adjustable depth with a position lock, and segments of the blade can be snapped off to provide a new sharp point. 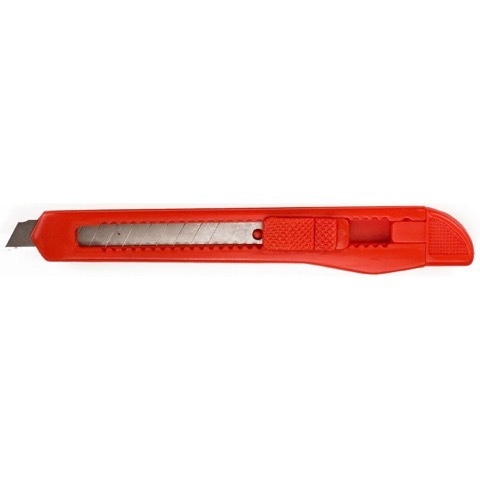 Perfect as a craft knife for hobbyist, scrapbooking or as a general purpose everyday box cutter.